Starting this weekend, Building Wisconsin will broadcast a new episode statewide featuring the Keep Wisconsin Moving Report. 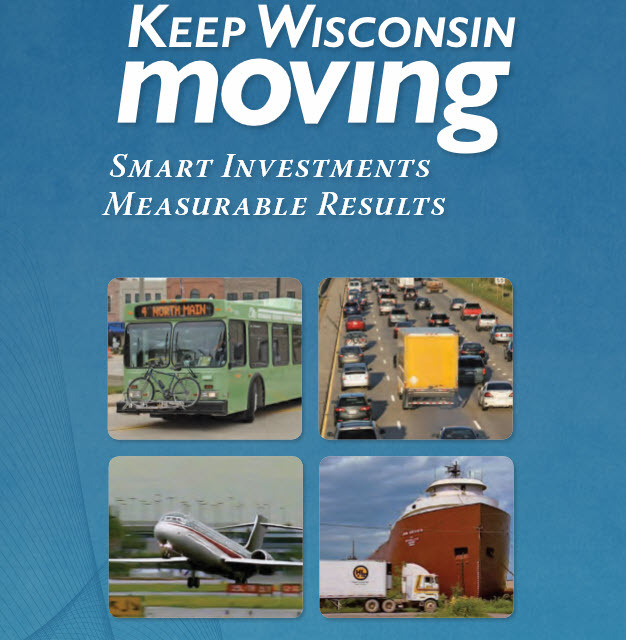 Keep Wisconsin Moving is a report compiled by the Wisconsin Transportation Finance and Policy Commission to help find a long-term funding solution for our state’s transportation system. Host Stuart Keith meets with commission members Robb Kahl, Craig Thompson and Mark Gottlieb to learn more about this Report and its recommendations. Milwaukee – Saturday, September 22 at 6:30 pm on WTMJ TV-4. Sunday, September 23 at 8:00 am on WVTV TV-18. Madison – Saturday, September 22 at 5:30 am and Sunday, September 23 at 12:00 pm on WKOW TV-27. Green Bay – Sunday, September 23 at 9:00 am on WGBA TV-26. Wausau – Saturday, September 22 at 11:30 am on WSAW TV-7. Sunday, September 23 at 1:00 pm on WSAW TV-7 and 5:00 pm on WJFW TV-12. La Crosse – Saturday, September 22 at 6:30 pm on WXOW TV-19. Sunday, September 23 at 10:30 am on the CW and 1:30 pm on WXOW TV-19. Eau Claire – Saturday, September 22 at 6:30 pm on WQOW TV-18. Sunday, September 23 at 10:30 am on the CW and 1:30 pm on WQOW TV-18.